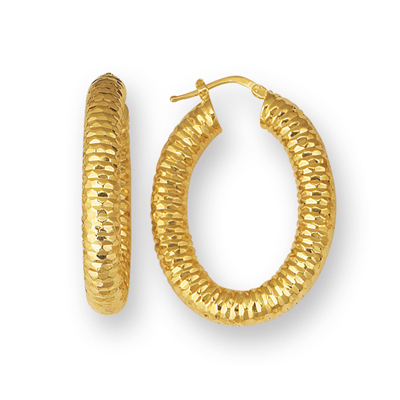 Gold Designer Earrings in 14K Yellow Gold . These bewitching Gold Designer Earrings are accentuated in 14K Yellow Gold. The earrings come finished with Omega backs. These breathtaking earrings look really sophisticated.